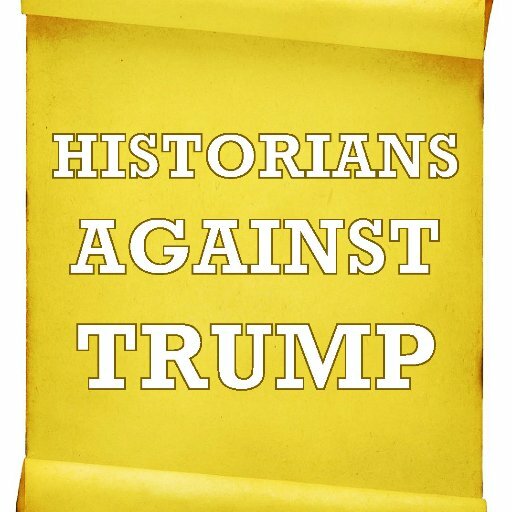 A new group, Historians Against Trump, announced itself Monday with an open letter  explaining its mission. The group is not endorsing anyone or affiliated with a party but plans to take steps against the candidacy of Donald Trump, the presumptive Republican nominee. "Today, we are faced with a moral test. As historians, we recognize both the ominous precedents for Donald J. Trump’s candidacy and the exceptional challenge it poses to civil society. Historians of different specialties, eras and regions understand the enduring appeal of demagogues, the promise and peril of populism, and the political uses of bigotry and scapegoating," the letter says. "Historians understand the impact these phenomena have upon society’s most vulnerable and upon a nation’s conscience. The lessons of history compel us to speak out against a movement rooted in fear and authoritarianism. The lessons of history compel us to speak out against Trump."